Traveling is my favorite thing to do - feeds my soul. 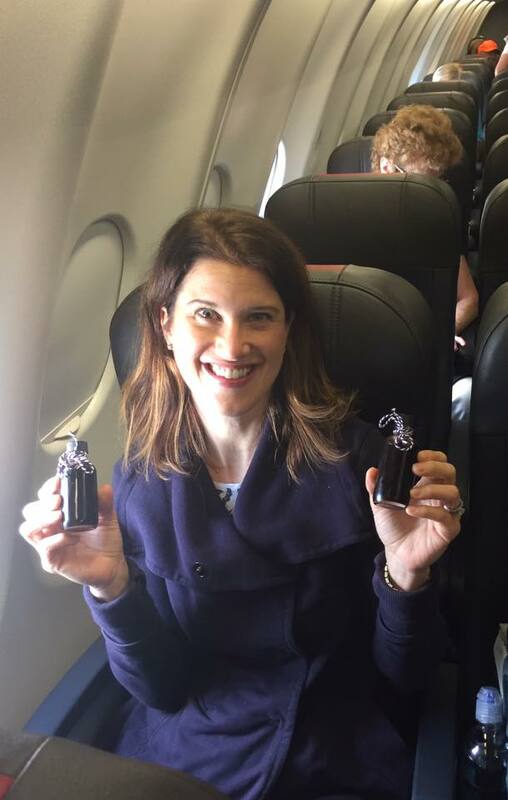 When we travel, Sweet’s Syrup comes along. Here are some tips to safely take with you! What I do is repurpose a 2 oz liquor airplane bottle from the ABC Store or buy online and fill with a little funnel. I also save 3oz freezer packs from refrigerated deliveries (they come with our probiotic orders) and freeze and keep in the zip lock. Voila! wrap the bottle with a gel ice pack and then bubble wrap around both! If you are checking a bag you can bring a full sized bottle. If you are going on a longer flight I recommend freezing your syrup (in addition to the ice pack). 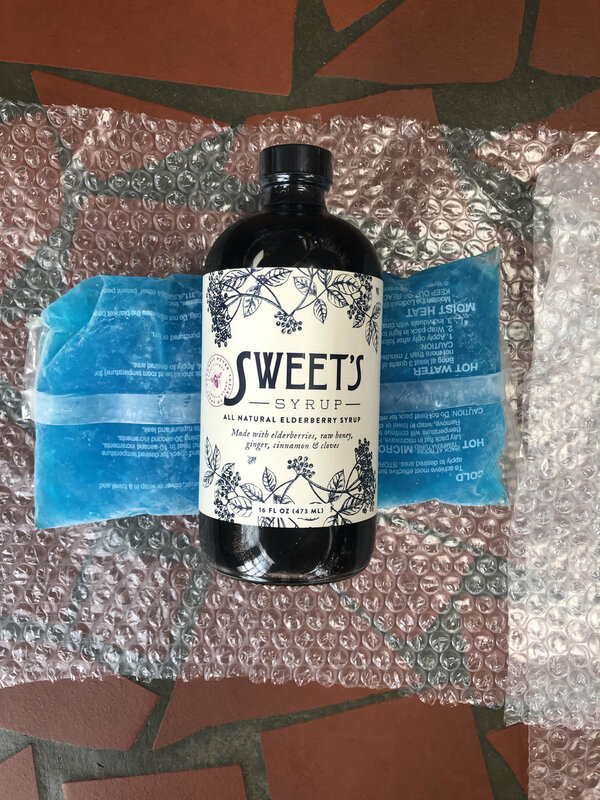 I recommend freezing the bottle and bubble wrapping both the ice pack (a gel style works best) and syrup together - if you wrap just the bottle then the ice won't help. Then DOUBLE bag in a gallon size zip lock. Just to make sure. 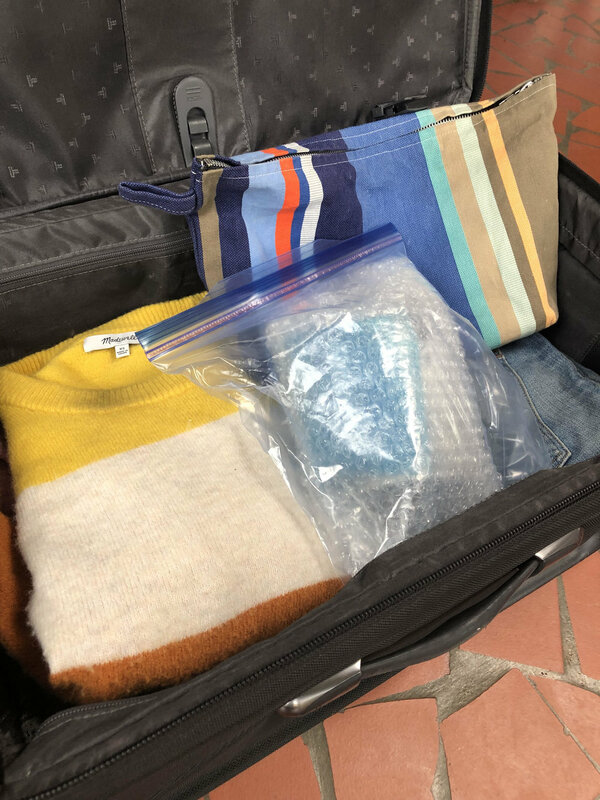 Pack it in the middle of the suitcase and cushion your stuff around it for protection. When you get to your destination remember to put it back in the fridge! Have safe and healthy travels!! !